With their tangle-free flat cable and an ergonomically perfect fit, The Rio earphones are your trusted companion for a life in motion. Whether you’re working out or going about your day, the in-line remote allows you to take calls on the go, pause and play your tunes and skip between tracks. Rio is compatible with devices in all shapes and sizes (Android, iOS and Windows). Rio’s ergonomically designed GoFit earbuds come in three sizes. Choose the right size for an individually perfect fit. Whether you’re listening to your favorite music or chatting with a friend on the phone, the Rio set gives you an enjoyable audio experience with crisp highs and a rich sound. 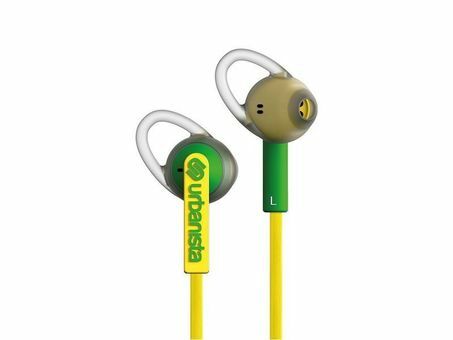 The specially designed earbuds allow you to remain aware of your surroundings, which makes them ideal for safely working out in urban environments.